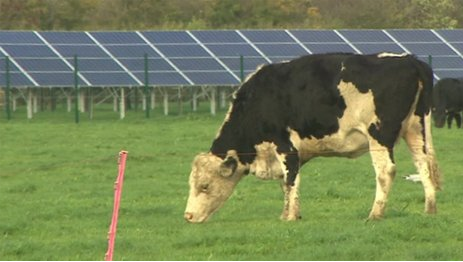 A community-owned solar power plant in Somerset has been officially switched on. The 4,000 panels, which can generate up to 1MW - enough to power about 300 homes - have been installed on farmland close to the village of Wedmore. More than 120 investors from the area bought shares in the scheme. Rob Richley, director of Wedmore Power Co-operative, said he had been delighted with the level of support from the community.